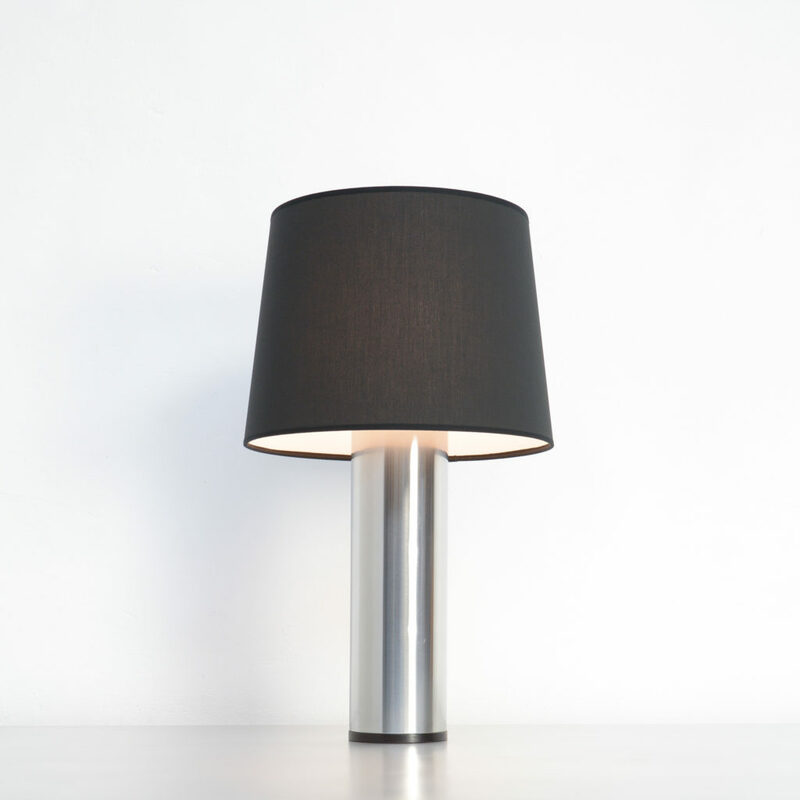 This minimalist Scandinavian table lamp was designed by Uno & Östen Kristiansson for Luxus in Sweden in the 1960s. 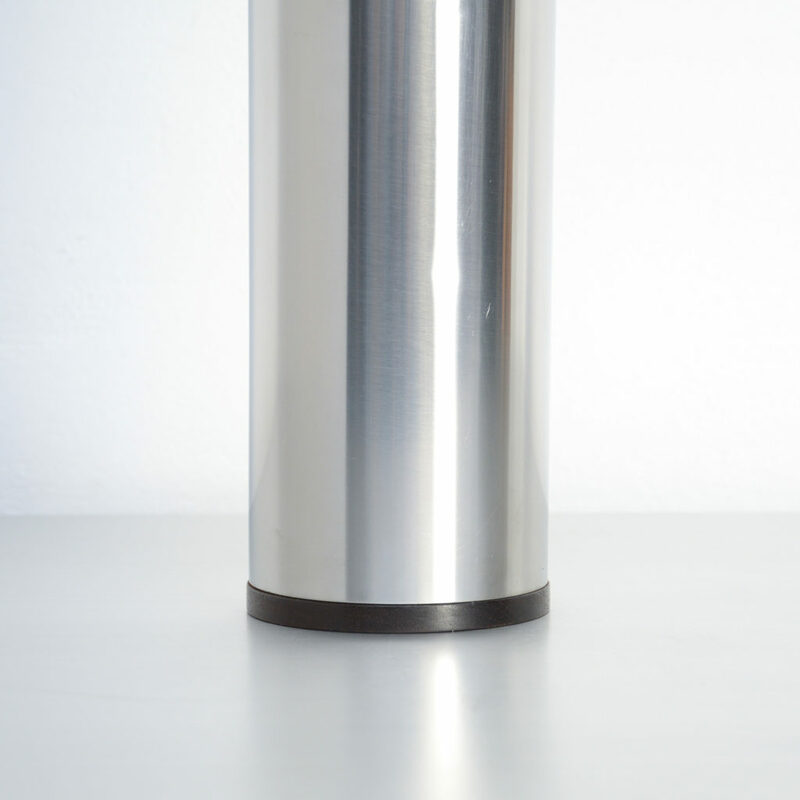 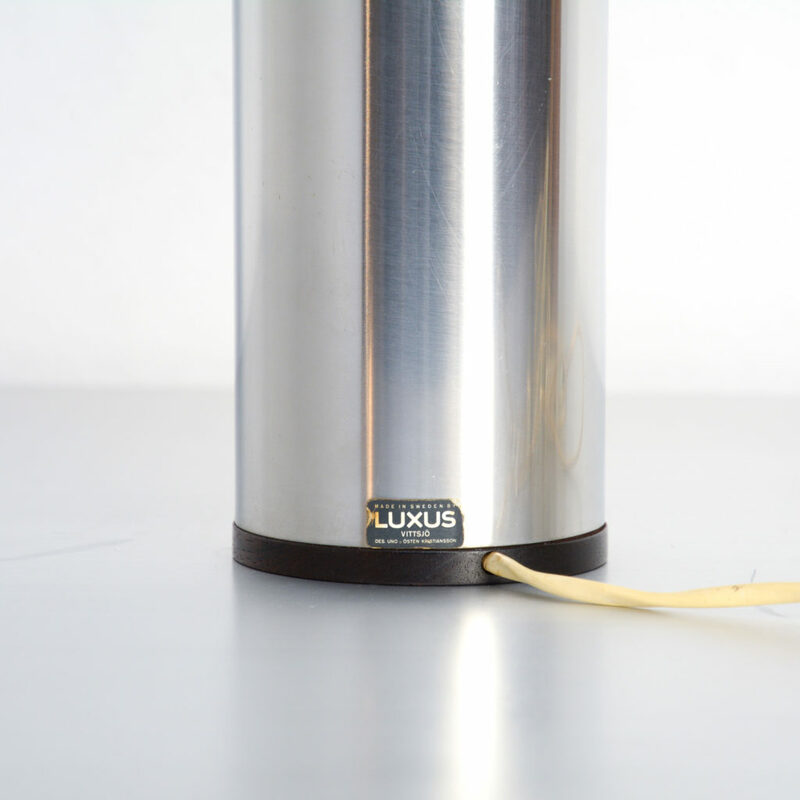 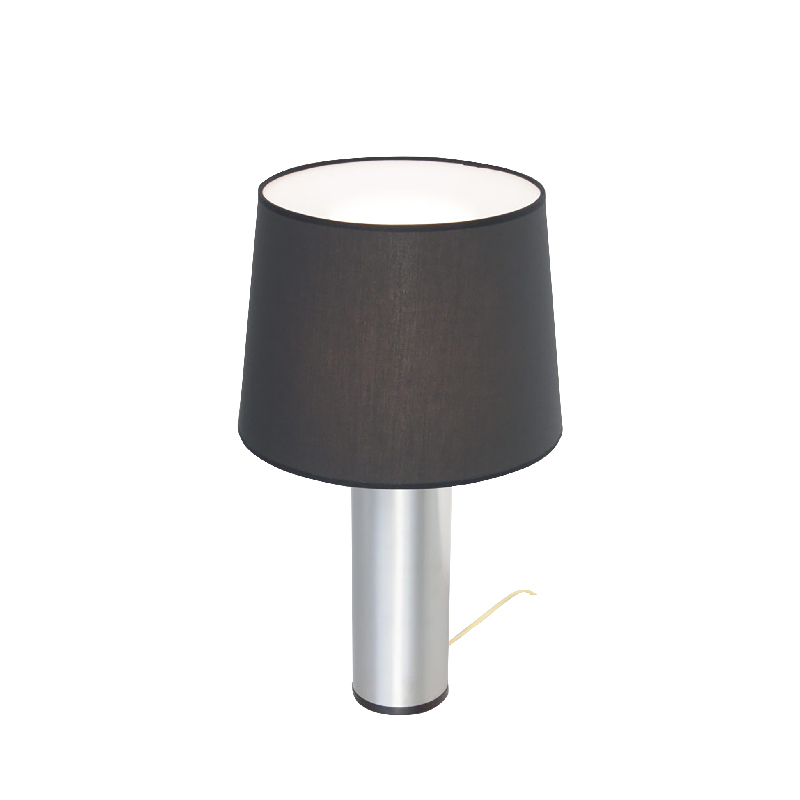 This lamp is made of a chromed steel cylinder with rosewood details. 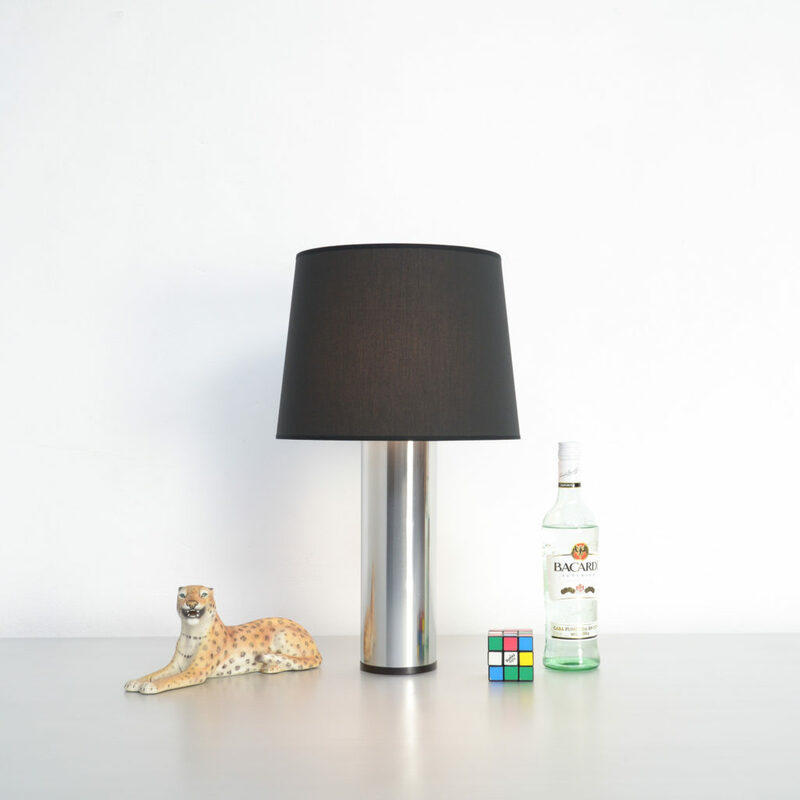 The white perspex diffuser is covered with a black lampshade. 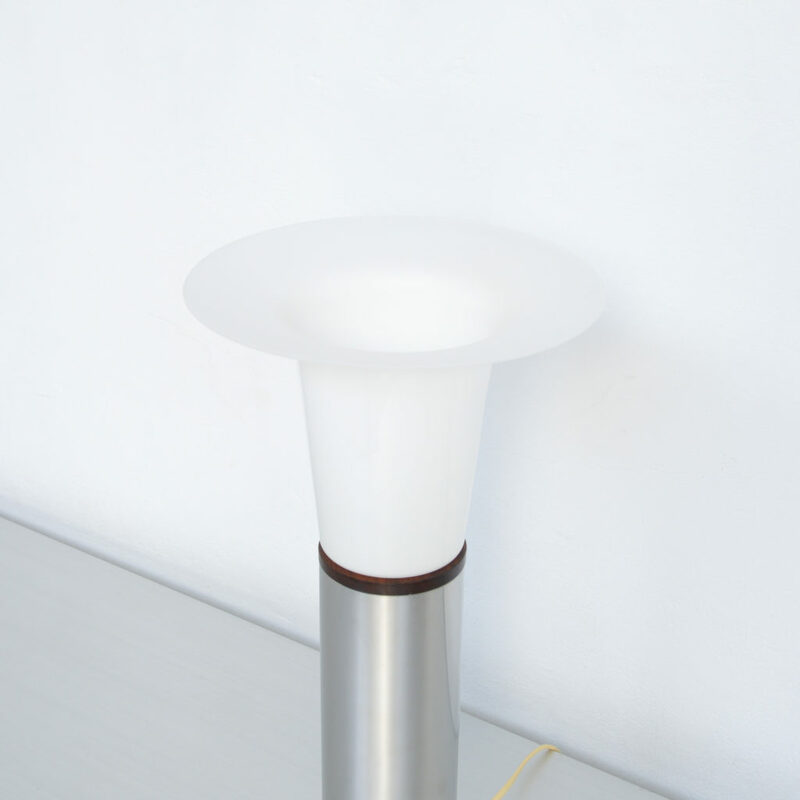 The shade is renewed on its original metal base. 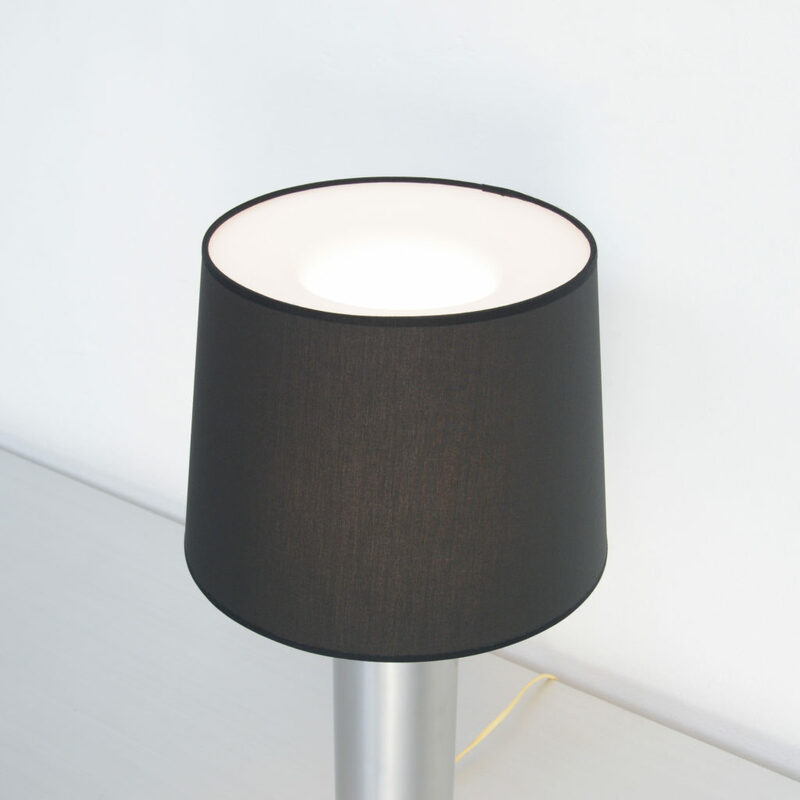 This lamp is in perfect condition. 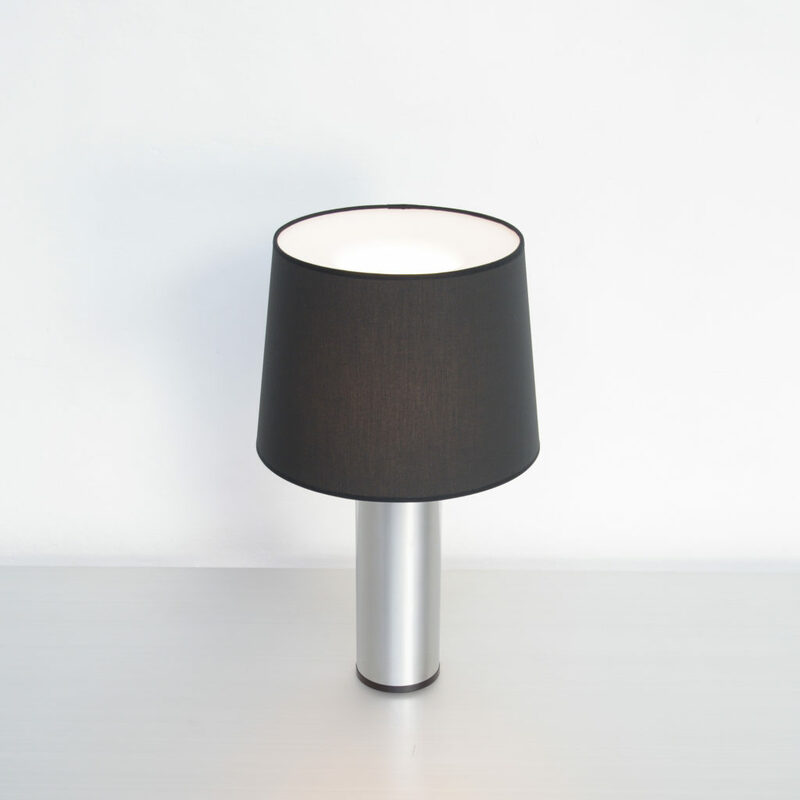 It is a nice example of Scandinavian minimalist and pure design. 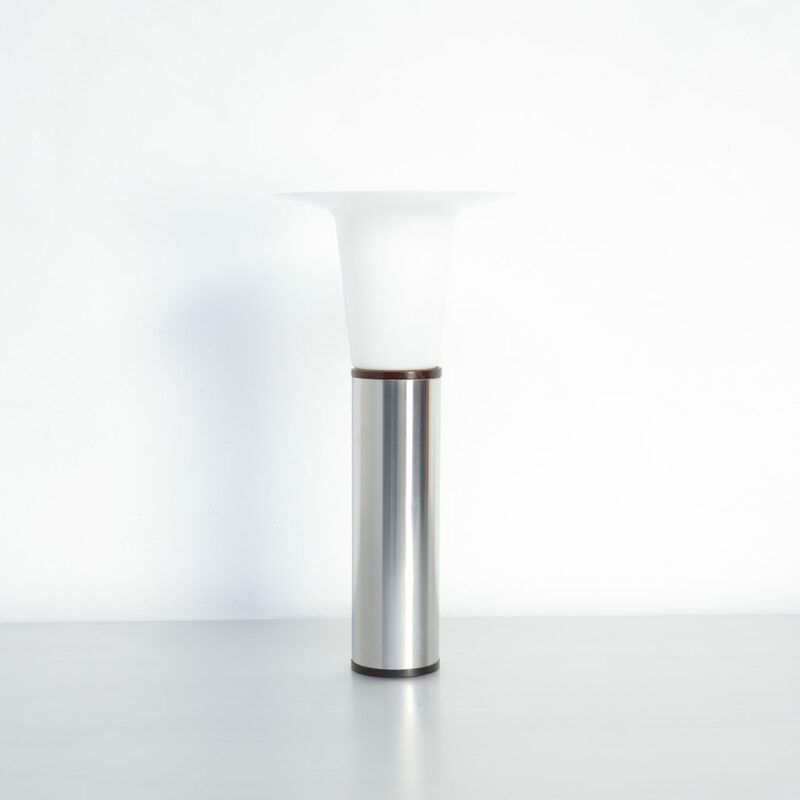 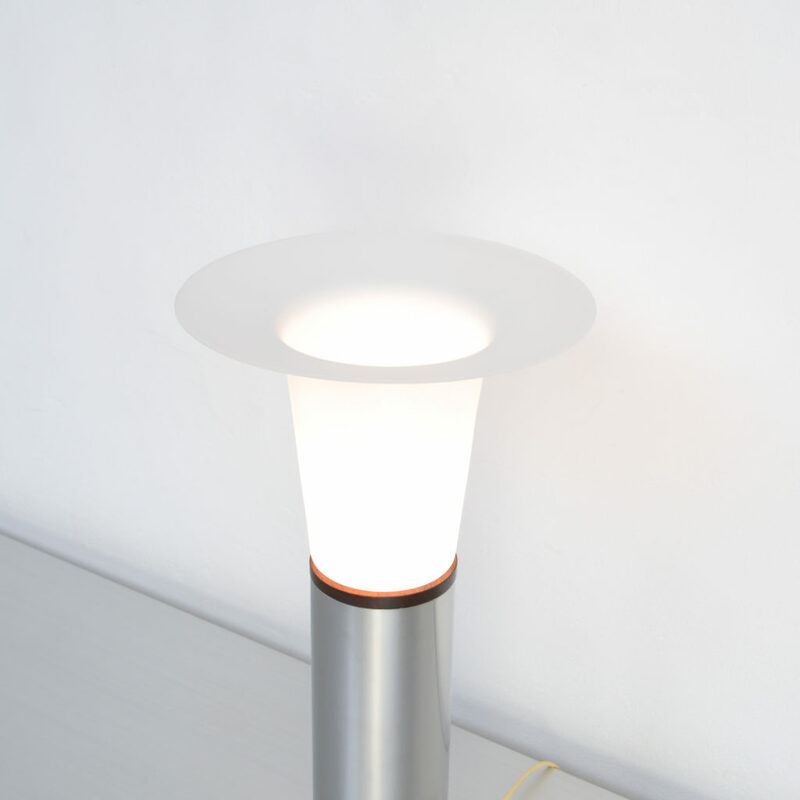 This white TC2 lamp was designed by Aldo van den Nieuwelaar in 1969. The lamp was produced by Artimeta since 1972.